LLCs, or limited liability companies, are a relatively new business structure. As state, not federal entities, their formation and maintenance can differ from state to state. However, LLC owners must still pay appropriate taxes to the federal government. Because the IRS does not recognize LLCs as separate taxable structures, LLC owners may need to get an EIN, or Employer Identification Number, from the IRS in some situations. LLC owners are called "members." Single-member LLCs may or may not need an EIN. If your LLC is a home-based business and you act as owner, manager, director and maintenance department, you are not required to have an EIN. You can simply elect to be treated as a sole proprietorship for tax purposes and use your social security number as your LLC EIN. Your LLC will need an EIN if you expand and hire employees. Until 2009, single-member LLCs could pay required payroll taxes using the owners' social security numbers as their EINs. However, since January 2009, single-member LLCs must have a EIN, like most other business structures, for payroll tax purposes. 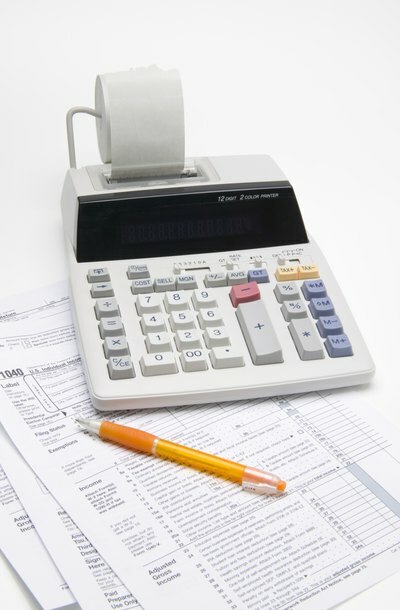 Since LLCs are not formally recognized by the IRS, they can choose how they wish to be taxed. LLCs can select to be taxed as corporations, partnerships or sole proprietorships, if there is only one member. LLCs choosing to be taxed as corporations or partnerships need an EIN. Even single-member LLCs, should they have employees or choose corporation tax treatment, also need an EIN. You may also need a new EIN if you change the ownership structure of your LLC. For example, if you have a single-member LLC that has been taxed as a sole proprietorship, but for operating or financial reasons you now elect to be taxed as a corporation, you have changed your tax structure and will need to file for a new EIN from the IRS. Should you sell your LLC, the new owners must also request a new EIN from the IRS. You have four choices to get an EIN for your LLC. The most efficient way is to apply online. This method validates your information during your online session and issues an EIN immediately. You can also choose to file for your EIN by telephone, fax or mail. The telephone method will also enable you to receive your EIN immediately. If choosing to apply via fax or mail, complete form SS-4, which you can download from the IRS website. If you give the IRS your fax number when applying by fax, you should receive your EIN within four days via a return fax. The timing of a mailed response is more difficult to predict. Do LLC Companies Need an EIN Number? IRS.gov: Do You Need an EIN? What Are the Tax Advantages of LLCs? A limited liability company, or LLC, is a business entity that has the advantage of offering personal liability protection for its members: LLC members cannot be held personally liable for the debts or obligations of the company. LLCs are also attractive to new business owners because LLCs enjoy many tax advantages as compared to other entities such as corporations and partnerships. If you're considering making a transition from the 9-to-5 world to becoming self-employed, you may wonder what considerations you should make. You may very well need to secure financing to make your business a reality. You will also need to consider factors such as how you'll handle your taxes and secure insurance -- and even how you'll structure your new business. You don’t have to keep the same members in your business, even if you start off as a limited liability company. Your LLC’s members can sell their shares of your business to someone else, continuing the business’s status as a multiple-member LLC, or sell their shares to you, creating a single-member LLC. Though your business will continue to operate normally, you will likely need to change your tax elections and accounting methods. Can an LLC Become a C Corporation Years Later? Is a Partner in an LLC an Employee?